Winter is a burglar’s favourite season due to daylight being scarcer. This gives them more cover to be able to break into houses without anybody noticing. A burglar can observe a few things like no lights on to determine if anybody is home. Never hide a spare key under the mat or in a flowerpot near the front door. It will be the first place a ‪burglar looks. 2. Keep Your Driveway and Walkways Clear. Keeping your outdoor walkways clear of ice and snow is important for the sake of safety! Also a build-up of snow may indicate to burglars that no one is home. REMEMBER no matter what season it is, you should try to make it obvious that your home is lived in! If you're going away, ask a neighbour or relative to clear your driveway. 3. Don't leave your car unattended while warming it up. It may be tempting to turn your car on and wait inside your warm home, but that gives car thieves a chance to get away with your ride. REMEMBER to never leave your car unlocked and unattended, even for a moment. You may not know who is watching you during your daily routine, and someone with bad intentions, may know you leave your car open for 5 minutes in the morning. Instead keep a pair of gloves and a hat in the glove compartment and be patient while your car heats up. Outside lighting is an extremely useful ‪security measure, especially during the dark winter period. Ensuring that vital areas of the property are well-lit can remove the opportunity for burglars to strike. 5. Go back to basics. With the darkness providing an extra layer of protection, opportunist thieves get bolder during the winter. For this reason, it's time to get back to basics with your home ‪security. Ensure all doors and windows are locked, even when you are in the property. REMEMBER to put contingency measures in place for when the property will be unoccupied. 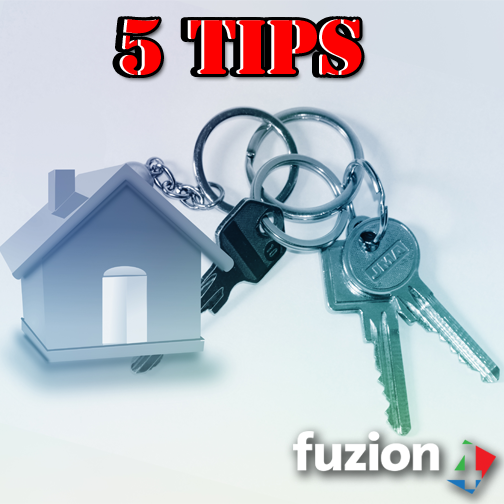 For example, ask a neighbour or relative to check on the property while you are away. Absolutely outstanding blog but Locksmith professional Singapore makes changes your hair in my doors. Super-duper support; stood a superb talk to 24/7 DC Locksmith regarding locks and safety in addition to managing a locksmith professional company. I found the work to become top-notch and reasonably outlined. May totally give them a call again; Super quick and very friendly service. top-5-home-security-systems home security systems certainly help to make robberies less inclined to occur. However, when they perform occur these types of criminals are less inclined to take big-ticket products. They are fully aware they don't have that much time to consider various products, so they believe they can just take the things they could possibly get. By this stage law enforcement will likely have showed up. Thanks for sharing the blog on the security purpose of the home. Looking to hire the professional locksmith central london who is professional for providing the security services for 24/7.